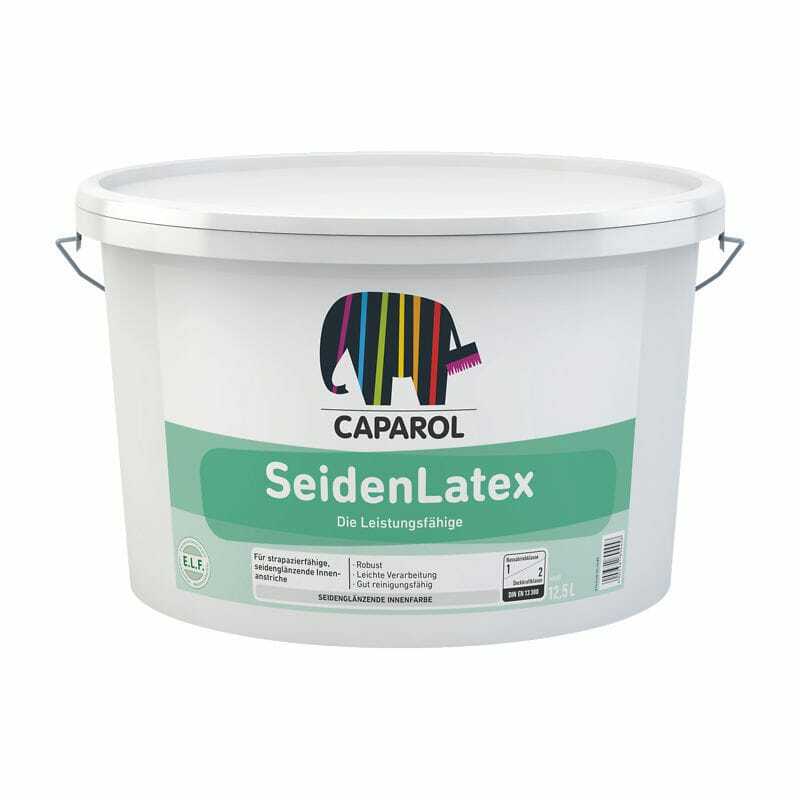 Approved quality for satin-finished interior paint coatings. For heavy-duty, scrub-resistant and texture preserving interior paint coatings with a semi-gloss surface. Particularly suitable for surfaces subjected to excessive wear, e.g. in schools, hospitals, play rooms, public buildings, offices, halls, hotels, restaurants, staircases, etc., since the coating is hard-wearing and may easily be cleaned. In addition, the product is particularly suitable for coating wood-chip wallpapers, ingrain and embossed wallpapers, as well as for Capaver glass fabric wall coverings to highlight the texture by a silky gloss. Excellent cleaning properties and resistant to aqueous disinfectants and household cleaning agents. Synthetic latex to DIN 55 945.